Capacity Range: 475 - 9000 lbs. 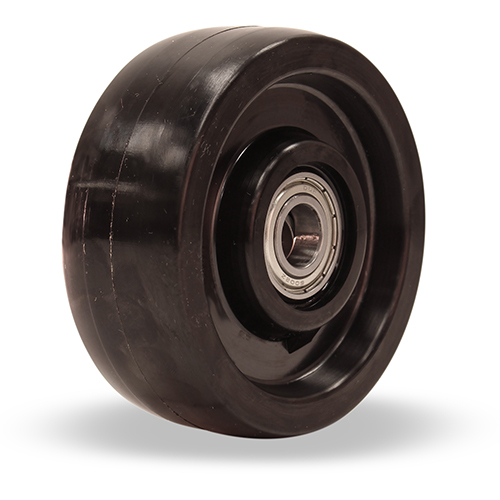 Carries higher capacities than rubber, outwears rubber and offers floor protection and quiet operation. 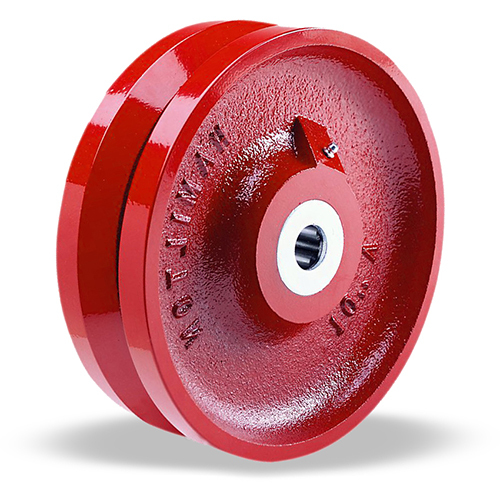 Liquid cast in 3/8" or 1" thicknesses on cast iron, aluminimun, or forged steel. Capacity Range: 250 - 23,000 lbs. Offers the highest capacity & tensile strength. Easiest rolling sans floor protection and popular for high heat applications. Forged Steel, Cast Iron, & Stainless Steel. Capacity Range: 200 - 10,000 lbs. 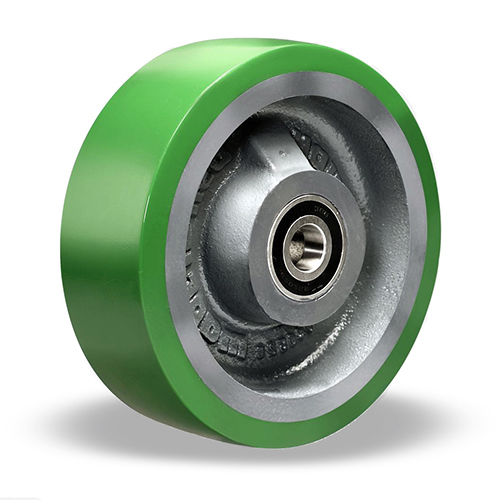 Easy rolling, high capacity, economical, chemical resistant and floor protective in intermittent operation. Choose from nylon, phenolic or polyolefin materials. Capacity Range: 380 - 16,000 lbs. 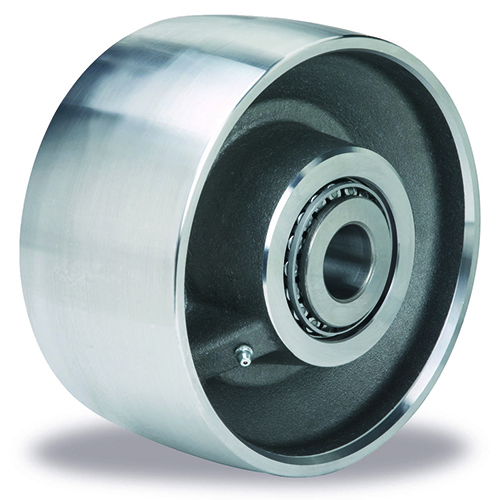 Industry's most comprehensive offering of V-Groove & Flanged wheels . 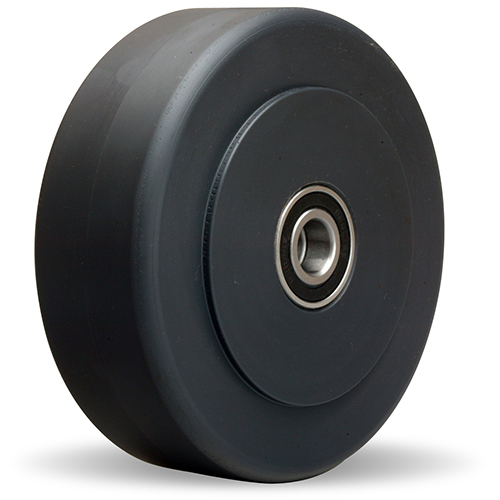 Loads are taken off the floor permitting higher capacities, easier rolling, floor protection, and controlled flow. Capacity Range: 2500 - 14,400 lbs. 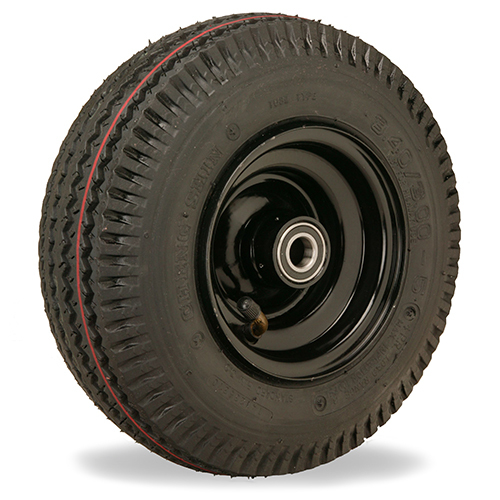 Solid tires are chemically bonded to replaceable steel rims which are "pressed on" to heavy duty cnc-machined metal centers. 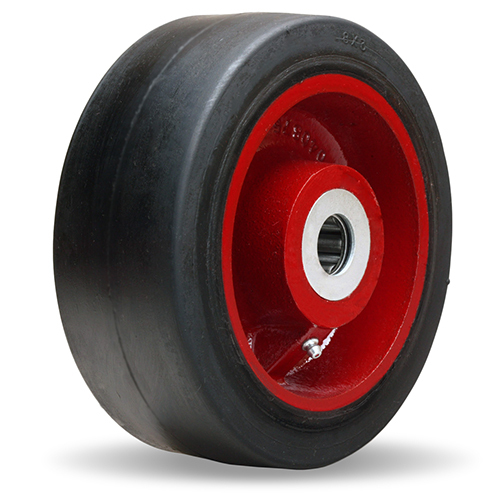 Choose from heavy duty polyurethane or high capacity rubber tires. Built tough to withstand the rigors of extreme temps, they’re ideal for rolling anywhere you want to beat the heat—especially in autoclaves, product finish systems, or bakeries. Capacity Range: 800 - 7000 lbs. 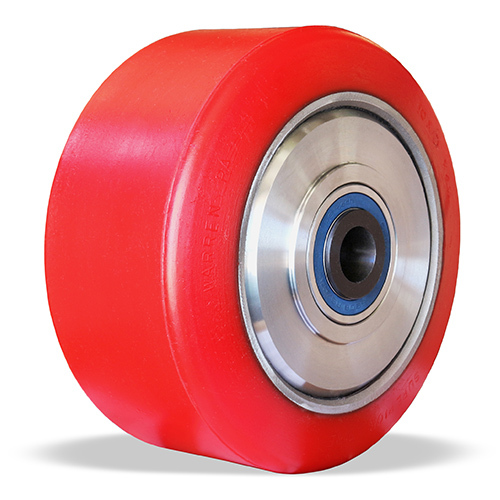 Designed for automated guided vehicles (AGV) or other continuous duty applications. 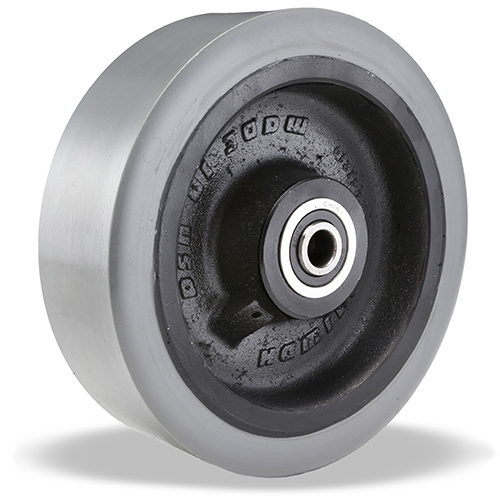 Features (2) premium polyurethanes, forged steel wheel cores, & larger precision bearings with press-fit bushings. Capacity Range: 200 - 3000 lbs.